Turtledove, Harry. 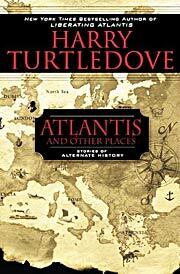 Atlantis and Other Places . NAL/Roc 2010. Comments: Collection of Turtledove short stories, including the allohistorical w88 android, "The Scarlet Band", "News from the Front", "The Daimon", "Occupation Duty", "The Genetics Lecture", and "Uncle Alf".